Single-handedly putting Croatia on the map in terms of original musical invention is DJ, label boss, radio star and producer, Blacksoul. What’s more, he has been doing for the best part of two decades since first storming the airwaves of a local station back in 1994. Having produced over 100 records on a wide array of assured underground house labels (think Strictly Rhythm, Cr2, Milk & Sugar, Virgin/Positiva) Blacksoul was the first Croatian to play the Amsterdam Dance Event and Miami’s Winter Music Conference, whilst he also plays across the USA and Europe at all the finest night-boxes alongside names like Derrick Carter, Farley Jackmaster funk, Gramophonedzie, Doc Martin, ATFC, Shapeshifters and many more. One of his biggest (and admittedly most commercial) hits to date was for venerated house label, Strictly Rhythm, and it went straight to number two on Traxsource’s illustrious chart at the time of release. As such, the Blacksoul sound is alive with synth stabs, house music’s emotion and a bright sense of colour that comes from plenty of big chords and diva-styled vocals. A DJ set from the veteran, meanwhile, takes in a range of club-ready, out-there house tracks, each imbued and mixed with a sense of groove and rhythm that is designed to keep you dancing, and your hands pumping. It’s no surprise, then, that the likes of Laurent Garnier have been quick to voice their support of this energetic music mogul. As a result of making a name for himself, Blacksoul also started a label of the same name to help promote other established and upcoming talent alike. 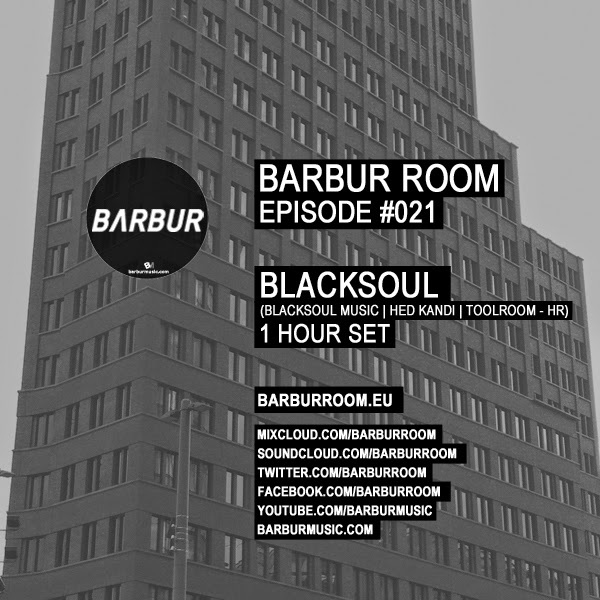 With over 40 releases under its belt from 70 international and domestic musicians and producers, the imprint is surely Croatia’s finest and serves as a bastion for great new music, as does the man’s newly started BLACKSOUL MUSIC FM radio station which provides underground house music 24/7. When remixing, too, Blacksoul got skills... not only has he remixed for Grammy Award Winner Maurice Joshua, but he’s also turned his hands to Gramophonedzie’s super hit ‘Why Don’t You’. With an-ever burning passion for fresh electronic sounds, Blacksoul is sure to keep on pushing, well into 2013.